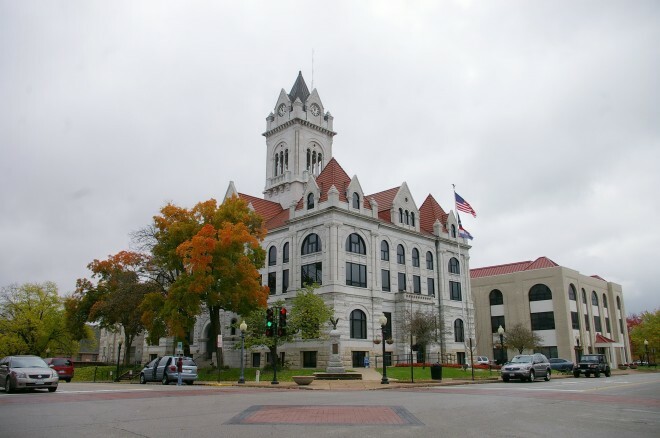 Cole County is named for Stephen Cole, who was a Pioneer who came from Virginia in 1807. 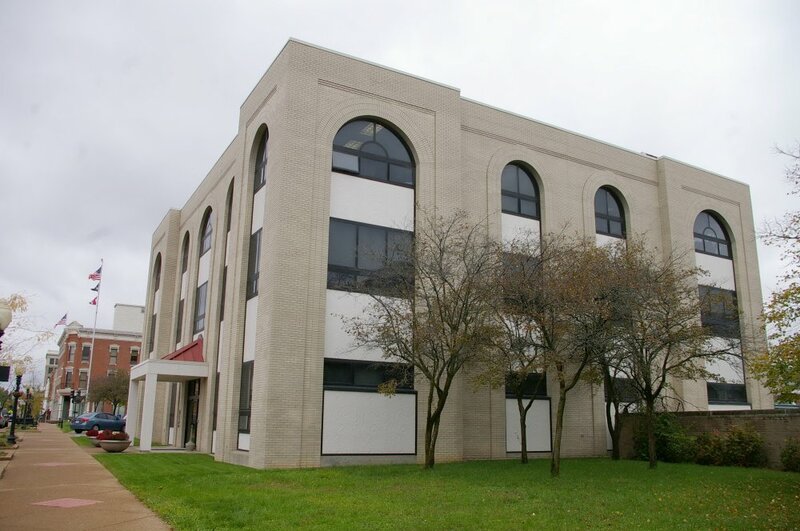 Description: The building faces northwest and is a three story gray colored Carthage stone structure. The first story is stone and upper story is pressed gray colored brick. There is copper and stone trim. The northwest front has a large stone arch at the first story entrance. On each corner is a large square stone tower with steep red colored roof. There are dormers at the roof line. 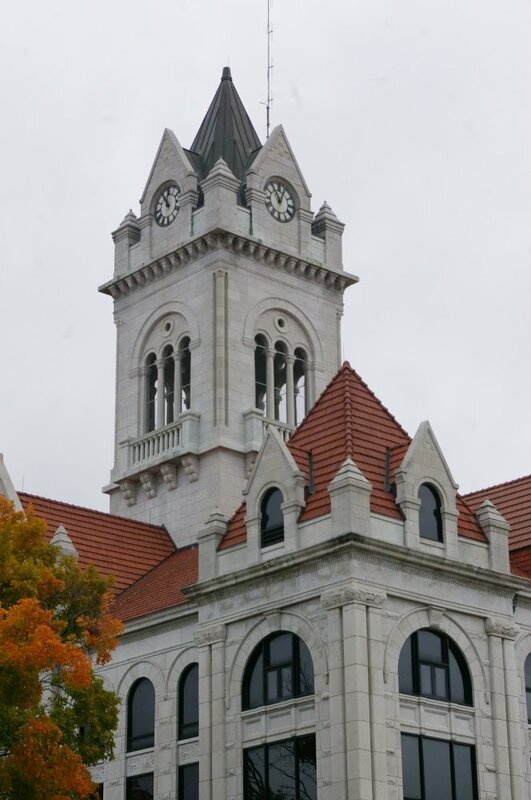 On the center of the roof is a high square clock tower with steep roof. The red colored roof is hipped. The building was damaged by fire on March 14, 1918. The architect of the repairs was Frank Miller. 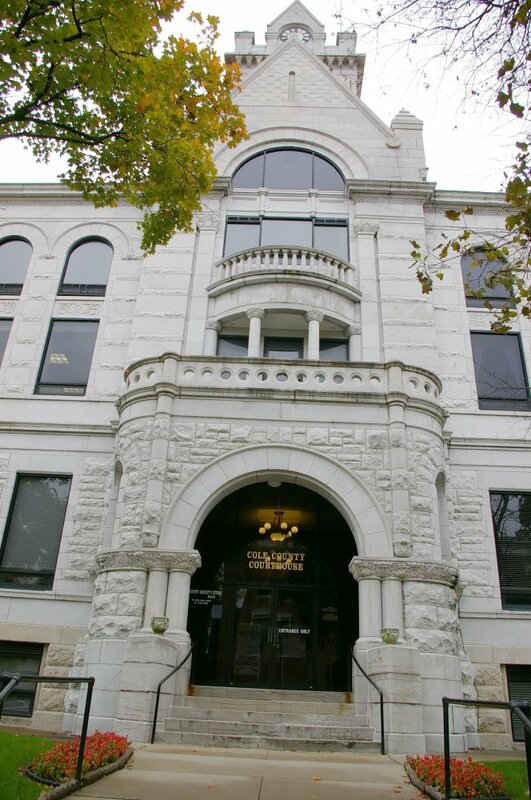 On the east side is the modern three story Courthouse Annex. 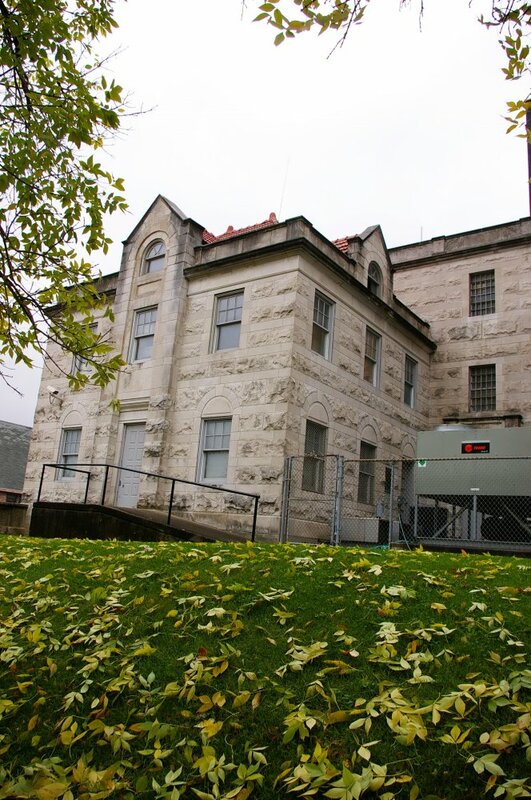 On the north side is the old Jail-Sheriff’s House. 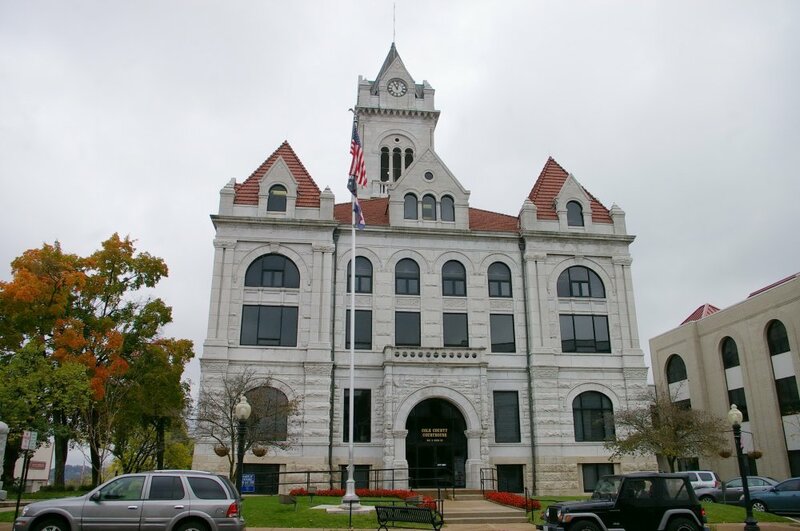 Note: The first court meeting took place at the home of John Inglish, in Marion and the first courthouse was built in 1825 at a cost of $748. In 1831, the court met in the state capitol and in 1836 moved to the post office. 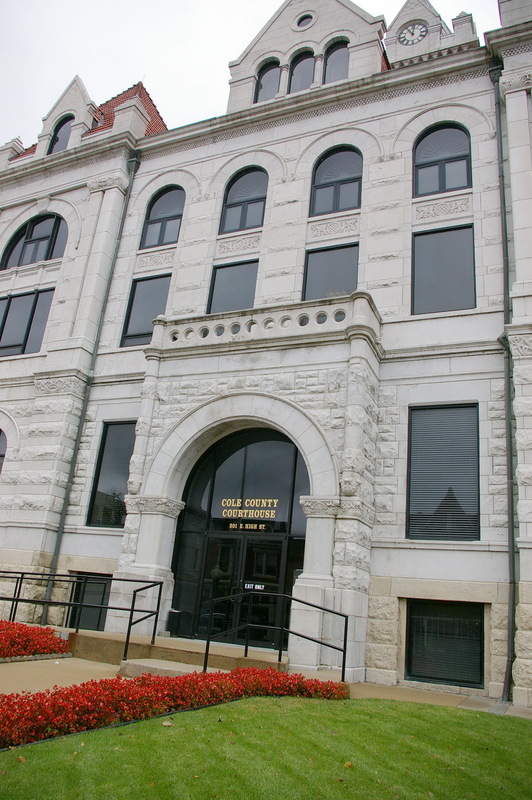 The next courthouse was built by Thomas L Ferguson of Griffith and Crump under the supervision of James Dunnica, first superintendent and Henry Robinson, second superintendent in 1837 at a cost of $24,000. After the state capitol burned in 1837, the courthouse provided space for the state government. The cost for the construction of the present courthouse was $60,000. 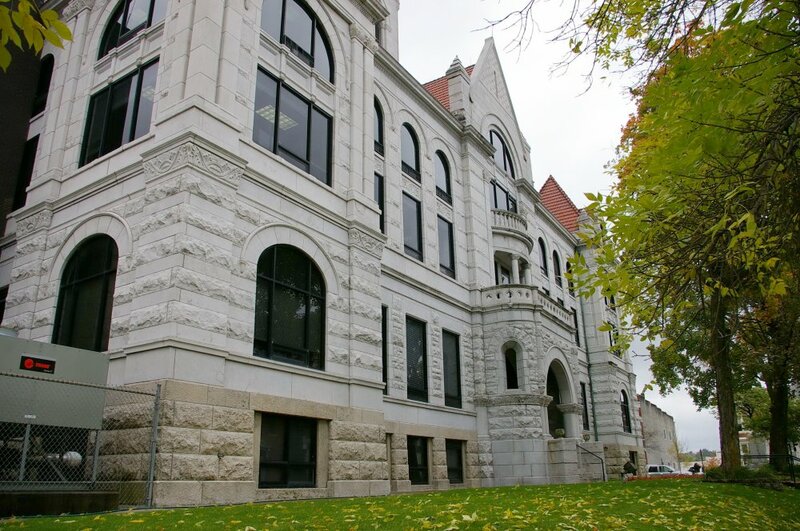 The cost of repairing the courthouse in 1918 war $48,000. 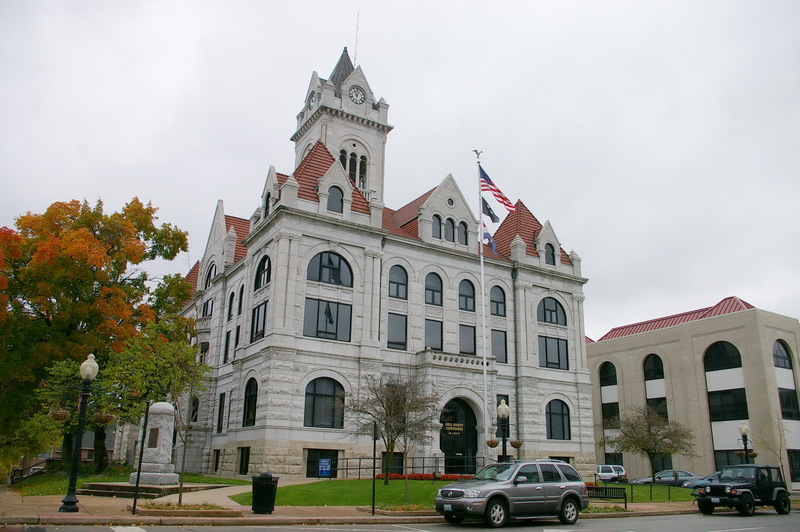 See: The Missouri Supreme Court is located in Jefferson City.